How does it enter Earth’s atmosphere? Is there a rocket attached to it to enable it to enter Earth’s atmosphere? How’s deorbiting done? The whole spacecraft is burned or only the trash ? 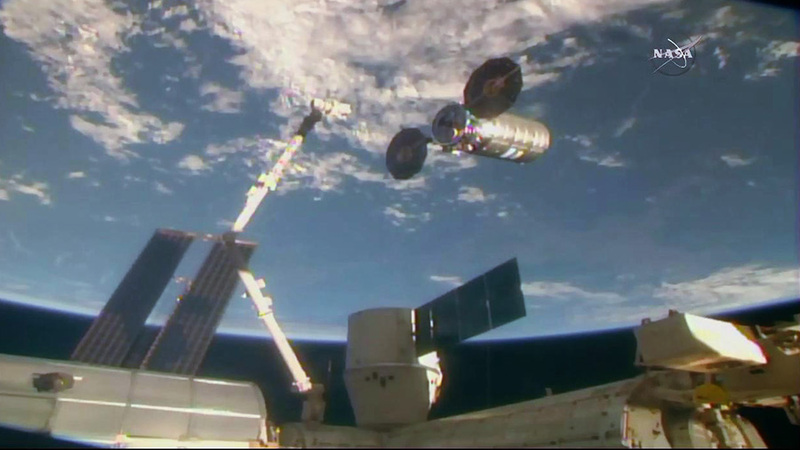 The deorbiting Cygnus spacecraft fires its engine slowing its orbital speed, also known as a braking maneuver. The spacecraft then begins its descent into the Earth’s atmosphere, harmlessly burning up over the Pacific Ocean. What’s the plan with the thousands of pounds of trash you are depositing during the deorbit. Is it ecologically viable? I there a reason you are commenting that it will not be broadcast on NASA TV. The cargo ship will burn up harmlessly over the Pacific Ocean on July 30 after series of engineering activities. NASA TV does not cover cargo craft reentering Earth’s atmosphere due to its routine nature and its extreme distance from the station.